CAN Communication Bus Fault? Now that’s generic. The Bus is the communications network used by many vehicles to make all the modules work together. When you have a bus fault code, you have to find out what part of the system is causing the issue. Follow this Real Fix to see how this was done on this 2006 Ford F350 Super Duty. Get everything you need to diagnose and repair your car problems today. Online access to the same auto repair information the dealership uses. Connected a scan tool and found code U1900 CAN Communication Bus Fault. There was no communication available with the anti-lock brake traction control module. Performed a visual inspection of the anti-lock brake system, wiring harnesses, speed sensors and detected no obvious faults. Performed a visual inspection of the anti-lock brake traction control module and found no obvious faults. Disconnected the anti-lock brake traction control module connectors, visually inspected the connectors and terminals and found no obvious signs of loose pins, corrosion or damage. Visually inspected the anti-lock brake traction control module wiring harness and found no obvious signs of damage. Used a multi-meter to check for the presence of shorts or opens in the anti-lock brake traction control module wire circuits and found that none were present. Used the multi-meter to check for the presence of power and ground at the anti-lock brake traction control module harness connector and found that both were present. The result of these tests verified the anti-lock brake traction control module was faulty. Replaced the anti-lock brake traction control module, cleared codes, performed a road test and verified the vehicle operated properly. The check engine light did not illuminate and no fault codes returned. expert information source. These documented issues from actual shop repair orders demonstrate how SureTrack can help you correct issues that are not easily diagnosed using OEM information alone. SureTrack is currently available free in our ProDemand product. An erratically shifting transmission can be caused by many things. Follow this Real Fix to see how to diagnose code P1717 on this Ford Explorer and fix the erratic shifts. Connected a scan tool and found code P1717 – SSD Inductive Signature Malfunction. Used the scan tool to monitor the live data, test drove the vehicle and found the transmission shifts were erratic. Visually inspected the transmission wiring harness and connectors and found no visible faults. The fluid was clean and at the proper level. Disconnected the automatic transmission shift solenoid wiring harness connector, inspected the terminals, and found no faults present. Used a multi-meter to check for the presence of a short in the automatic transmission shift solenoid circuits, and found no shorts were present. Used the multi-meter to check for the presence of battery power at the automatic transmission shift solenoid wiring harness connector and found battery power was present. Used the multi-meter to check the continuity of the automatic transmission shift solenoids and found automatic transmission shift solenoid “D” was intermittently electrically open when the solenoid was tapped on to simulate road shock. The tests indicated the automatic transmission shift solenoid was faulty. The automatic transmission shift solenoid “D” is integrated into the automatic transmission solenoid pack and is replaced as an entire unit. Replaced the fuel pump resistor and verified the vehicle operated properly. The customer’s concern did not return. Sometimes a minor part can cause you trouble but it’s fairly simple to track it down for the fix. Follow this Real Fix to see how a bad fuel pump resistor was causing a no start condition on this 2001 Buick Regal. Confirmed the customer’s complaint and found the engine did not start. Connected a spark tester to a spark plug wire, cranked the engine and found spark was present. Connected the spark tester to the remaining spark plug wires, cranked the engine and found spark was present. Connected a fuel pressure gauge to the fuel pressure test port, cranked the engine and found there was no measured fuel pressure. Visually inspected the fuel pump wiring harness and found no obvious signs of damage. Disconnected the fuel pump connector, visually inspected the connector and terminals and found no obvious signs of damage. Used a multi-meter to check for the presence of voltage and ground at the fuel pump, cranked the engine and found voltage was not present. Observed the fuel pump relay while commanding the fuel pump on with a scan tool, and found the relay made an audible click. Used the scan tool to command the fuel pump relay on while using the multi-meter to check for the presence of voltage at the output circuit of relay, and found voltage was present. Used the multi-meter to measure the resistance of the fuel pump resistor and found the measured resistance was above specifications. These test results verified the fuel pump resistor was faulty. The EGR system can cause several issues when something is wrong with it. 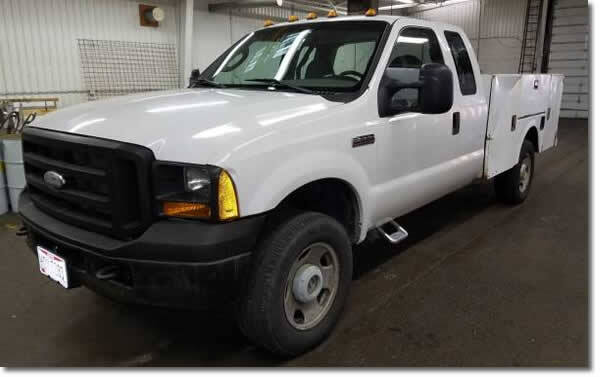 Follow this Real Fix to see how a fouled EGR valve caused a code P1726 on this 2004 Ford F250 Super Duty with the 6.0L engine. Connected a scan tool and found code P1726 – Insufficient Engine Speed Decrease During Self Test. With the engine at idle, monitored scan tool data and observed the exhaust gas recirculation valve parameter was erratic. Using the scan tool, commanded the exhaust gas recirculation valve to open and close and found the valve did not respond. Performed an inspection of the exhaust gas recirculation valve wiring harness and connector and detected no obvious faults. With the ignition on and the engine off, used a multi-meter to check for the presence of voltage and ground at the exhaust gas recirculation valve connector and found both were present. Removed the exhaust gas recirculation valve, visually inspected the valve and found that it was carbon fouled . The tests indicated the exhaust gas recirculation valve was faulty. Replaced the exhaust gas recirculation valve, cleared codes, performed a road test and verified the vehicle operated properly. The check engine light did not illuminate and no fault codes returned. Usually when you hear a squeak from an engine you assume it’s the belts. 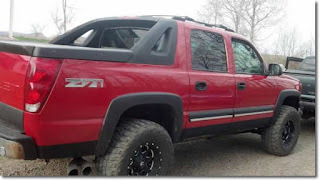 drdiesel had a Chevrolet Avalanche in their shop that had a squeaking noise coming from the engine when it was running… but it wasn’t the belts. They posed the question to the community, and with the help of fellow community member dmckemie12 and others, they were able to resolve the issue. Squeak or rubbing noise from right side cylinder head valve train area, only with engine at operating temperature..
Bad roller bearing in rocker arm. You can pull the valve cover then plug the coils back in and run the engine, use a hammer handle and push hard on the push rod side of rocker and listen for noise change. You can also back the rocker bolt out a turn or two and SLOWLY tighten back down, noise will get louder when tightening if the roller on lifter and/or cam is bad. I’ve got a pickup load of bad cams from these same symptoms. Replaced rocker arm, ran engine and squeaking noise is gone. Why is my engine idle so rough? It might be over 20 years old but that doesn’t mean you don’t want it to run smoothly. In this case the component related to the code was not the culprit. Follow along with this Real Fix to see what the cause was. The customer states the engine idles rough. The customer also states the check engine light is on. Confirmed the customer’s complaint and found the engine idled rough. Connected a scan tool and found code P1443 – Purge Flow System Circuit Malfunction. At idle, used the scan tool to monitor live data and found the evaporative emission (EVAP) purge flow sensor signal parameter was within the specified range of 1.5 to 2.0 volts. At idle, used the scan tool to command the purge solenoid open and observed the EVAP purge flow sensor signal parameter responded to changes in commanded purge rate and engine speed. Observed the idle speed was below the specified 475 to 575 rpm. Used the scan tool to command the idle air control valve on and found engine RPM did not change, indicating the idle air control valve was inoperative. Inspected the idle air control valve wiring harness and found no faults. Connected a test light in place of the IAC valve, used the scan tool to command the IAC valve on and found the test light was illuminated, indicating the wiring and control circuit were functional. Used a set of fused jumper wires and applied power and ground to the idle air control valve, and found the idle air control valve failed to operate. Used a multi-meter to measure the resistance of the idle air control valve and found the measured resistance was out of the specified range of 6 to 13 Ohms. The results of these tests indicated the idle air control valve was faulty. 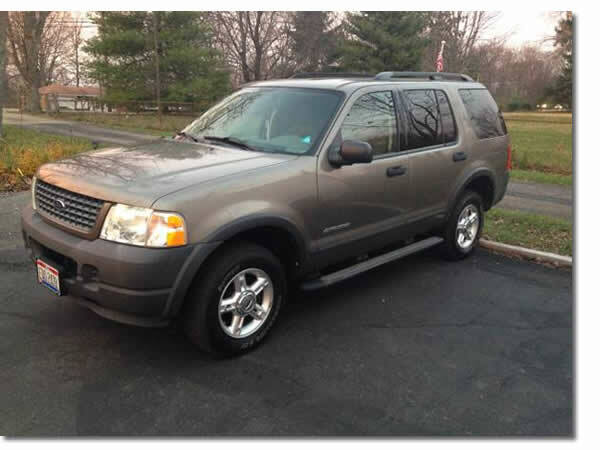 Replaced the idle air control valve, cleared codes, performed a road test and verified the vehicle operated properly. The check engine light did not illuminate and no fault codes returned. Not all vehicles stay as built by the factory. SureTrack community member thewrench had a diesel Dodge Pickup in their shop where the fuel system didn’t match the factory information because it had been retrofitted. They posed the question to the community, and with the help of fellow community member DieseltechJon and others, they were able to resolve the issue. 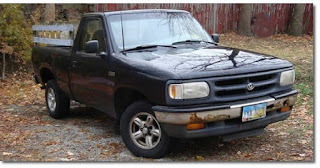 Truck will not start and repair information states that truck is equipped with a fuel lift pump attached to the fuel filter/water separator housing but this truck does not. Found references to retrofits on some of these trucks where an in-tank lift pump is used which apparently this truck has. We have no power to the fuel pump wire at the tank, and have not been able to find a fuel pump relay although retrofit repair information shows that there is a fuel pump relay, but does not specify location. C1 Pin 19 at the ECM shows to be Fuel Pump Relay Control and C1 Pin 6 shows to be Fuel Pump Relay Return. Underhood power control center does not show any of the relays to be a ‘Fuel Pump Relay’. If this truck had the retrofitting done check the driver side firewall area for the relay. Usually somewhere between the battery and firewall. Faulty retrofit fuel pump relay. Replaced fuel pump relay and truck now starts. Finding what is draining the battery can be tricky, but sometimes your ears will help you find the culprit. SureTrack community member kenscssvc had a Chevrolet Impala in their shop because the owner complained that the battery kept going dead. The charging system checked out, but while working on the vehicle they heard some clicking sounds under the dash. They posed the question to the community, and with the help of fellow community members dmckemie12 and ironnutz, they were able to resolve the issue. Performed Charging system test and all is normal. Shortly after the test, while looking for loose wiring, a clicking noise was found and appeared to be moving throughout the dash in a cycle. The temperature control doors were clicking, attempting to move but were in fact stuck to one extreme. Scanned the HVAC system and retrieved 3 codes. Try commanding the motors with scan tool to see if they operate. When they reach the end of their travel, the module sees the increase in amperage and turns them off. With the plastic worm gear worn off there is not enough load to raise the amperage so they continue to run. You can replace just the one that is ticking then reevaluate; not abnormal for them to set a code and still work fine. Cannot command the motors – replaced 2 of the motors and still cannot command them. Internal failure of the controller causing motors to run with key removed draining battery. Replaced HVAC control module and three bad mode door actuators. No more clicking noise and battery not draining with key off. The Bulbs for Cruise Control? SureTrack community member aph915 had a truck in their shop where the cruise control was inoperative and the cruise indicator light in the dash didn’t illuminate as expected. They posed the question to the community, and with the help of fellow community member ericsautomotive and others, they were able to resolve the issue. The following Real Fix summarizes the interaction between them in the community that led to the solution. Customer complained that the cruise control was inoperative. Further investigation determined that the cruise indicator light was not illuminating as expected. Checked for DTCs and found none. PCM shows cruise control inhibited-yes. Have checked switch functions at cruise control module and all work and powers and grounds are good. Performed service manual test for cruise control inoperative and came to replacing PCM. Replaced PCM and cruise is still inoperative. Speedometer working correctly. All brake lights working. Cannot determine cause of cruise control inhibit. Backprobe power and ground supplies to the cruise control servo. Are they all present and the right voltage levels?. Found that the almost 5 volt signal at the cruise control servo was caused by customer installed LED brake light bulbs. Sometimes it’s a simple problem causing your problems. SureTrack community member chuys123 had a Chevrolet Tahoe in their shop that wouldn’t start. Everything seems to check out ok but still couldn’t figure it out. They posed the question to the community, and with the help of fellow community member runtherack and others, they were able to resolve the issue. Customer states that vehicle will start and run for like a minute or two then stall. Might restart and run for a minute or two again and eventually will not restart at all. Customer said they were driving and instrument cluster needles went crazy and vehicle died. Checked fuel pressure and it is 55psi, has spark and injector pulse. The only odd thing I see is the injector pulse and spark seem amplified. The NOID light blinks very bright and the spark looks very strong, again like if it’s amplified. I have also attempted to spray starting fluid to no avail, replaced TAC module and throttle body, still the same issue. Scanner has no codes, the only weird thing is in the abs, I am able to read codes but get No Communication error for data. I disconnected ABS module and no difference. Scanner shows theft system not active. Check the ground cable routed from the lower right hand corner of the engine (G104) to the frame (G105). Verify the cable is tight at both ends and the cable is in good condition. Found a loose PCM ground. Repaired loos PCM ground and vehicle starts and runs as it should.